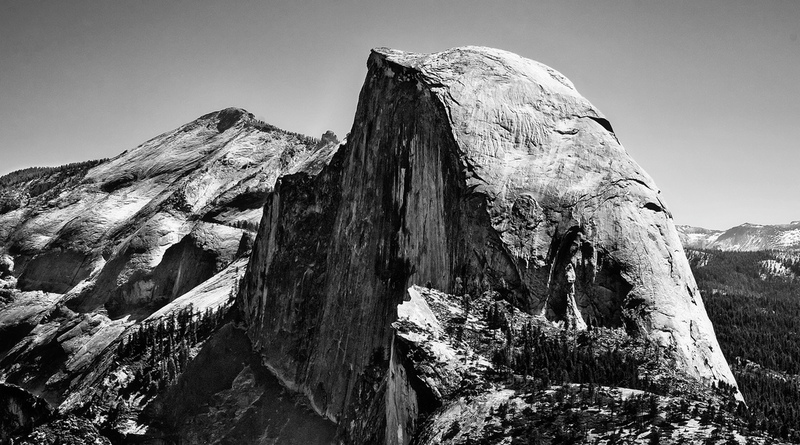 Have you ever wondered how Half Dome formed? Half Dome is one of the indisputable monarchs of Yosemite National Park, a lopsided, sheer fin soaring high above Yosemite Valley. Considering how Half Dome formed introduces you to the wonders of Sierra Nevada geology—which involves both molten fire and bulldozing ice! Half Dome, like the other granite exposures in Yosemite, formed from so-called “intrusions” of magma—molten rock—that solidified underground to form massive granite bodies. This happened repeatedly mostly during the Cretaceous period; the source of the magma was the Pacific tectonic plate, which was being overridden by the North American plate and forced downward at its leading edge to the melting point. Later, as overlying rocks were eroded away, the intrusive granite was revealed at the surface and eventually uplifted in the mountain-building episode that formed the modern Sierra Nevada. While volcanic rocks are scattered throughout the range, the Sierra core is tough, widely jointed, beautifully pale granite. Granite is a very hard rock in the face of weathering and erosion. It is most vulnerable along the natural fissures called joints. 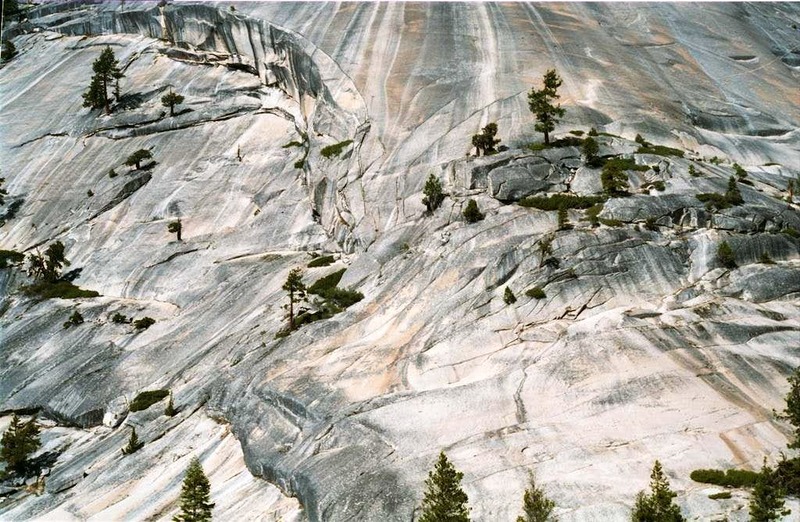 Weathering (such as freeze-thaw action) along joints in the Half Dome mass is mostly responsible for the peak’s contours today. The rounded crown of Half Dome probably stems from whole sheets of rock peeling off, a weathering process called exfoliation that may stem from the release of pressure on the granite after the overlying rock layers had been removed by erosion. More than once, Pleistocene glaciers spilled down the west-side Sierra river drainages from the range's crest, with their relentless scraping turning sharp, stream-cut canyons into broad, U-shaped valleys. The bulk of the work was accomplished by the huge Sherwin glacier, which nearly filled Yosemite Valley—but Half Dome’s crest, along with the other highest points, remained above the ice. Lower formations, however, such as the Liberty Cap dome over Little Yosemite Valley, were smothered at one point or another. Whether you’re a geology enthusiast or not, you now know how Half Dome formed--it’s impossible not to be captivated by its monumental presence in Yosemite Valley. 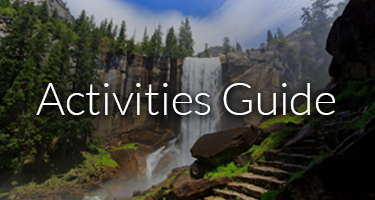 If you’re planning to go hiking or climbing in Yosemite this year, consider making your reservations with Yosemite’s Scenic Wonders. 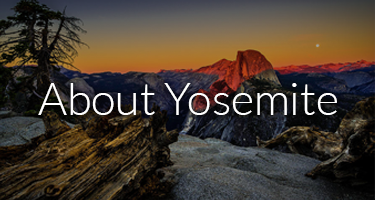 We offer Yosemite reservations within the gates of the park. 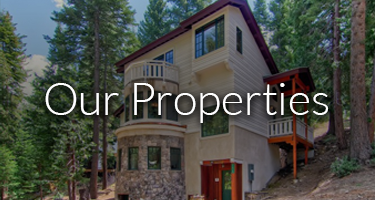 With one of our cozy cabins, condominiums, or homes, your Yosemite accommodations will be just minutes from your favorite Yosemite hikes.